In pine grove, in the heart of the residential district of Juan-Les-Pins, you are just a stone's throw from the fine sandy beach and the center of town, in a setting of Bougainvillaea, orange and olive trees. You can enjoy an ideal stay year round, an art of living to be savored. The chef at the Best Western Le Grand Pavois invites you to discover his wonderful recipes recalling that cuisine is an art in itself. Several menus are available: A la Carte, buffet at certain times of the year, and menus for business, children, groups and seminars. The Best Western Le Grand Pavois has 60 very large rooms on 4 floors with lifts - elevators. All are equipped with satellite television, radio, direct telephone line, mini-bar, safe and complete bathrooms. The great majority of the rooms have a balcony and sea view. All rooms refurnished in 2000 and 2001. 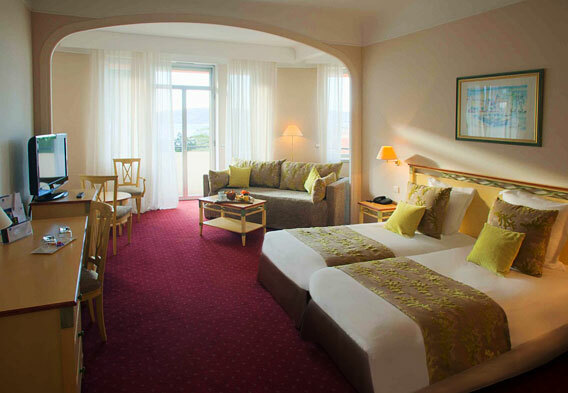 The Best Western Le Grand Pavois is in an exceptional location in the heart of the French Riviera.